Your wedding day is without a doubt the most special day of your life. Whether your theme be elegantly traditional or daringly unique, the dedicated team of professional stylists at our hairdressers in Walmley & Four Oaks, Sutton Coldfield are here to join you on your amazing journey – and help turn your wedding day dreams into a reality. Choosing how to wear your hair on your wedding day can often be a daunting prospect. With so many beautiful bridal styles and looks to pick from, lots of us are left feeling overwhelmed to say the least. That’s where we come in! Why Simon John Hair, Sutton Coldfield? As the head of our Wedding Hair Department, overseeing all wedding hair training at all of our Sutton Coldfield salons, there are little wedding day hairstyles and bridal hair themes that Jenny hasn’t achieved before. Jenny attends specially designed wedding hair courses for styling brides and bridal parties regularly, keeping her at the forefront of all the latest styles, techniques and hair ideas. She recently completed the Schwarzkopf Academy in London bridal hair training alongside celebrity stylist Sarah Barlow. Our wedding day packages are tailor-made to your specification, ideas and personality but if you’re needing inspiration expert wedding hair ideas then Jenny can provide invaluable advice, insight and suggestions. ‘Boho‘ hair is incredibly on trend right now for brides. 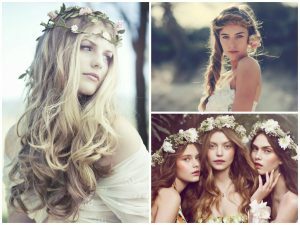 Opting for a ‘Boho’ bridal hairdo can mean wearing your hair in anything from loose, flowing waves to chunky braids and fishtail plaits – leaving you with a natural, effortlessly beautiful wedding hair on your wedding day. Classic, glamourous hairstyles harping back to the 1920s, ’30s and ’40s work wonderfully on brides – oozing elegance and grace on the big day. 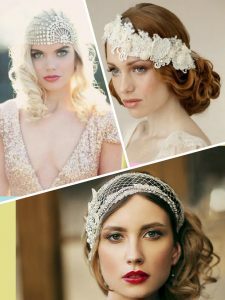 Tight waves or curls worked into up-do wedding hairstyles look fantastic when paired with retro accessories, such as vintage beaded head dresses or bird cage veils. If you have a wedding hair accessory that you would like to use, please bring it along and we can discuss the best ways of working it into your chosen bridal hairstyle. 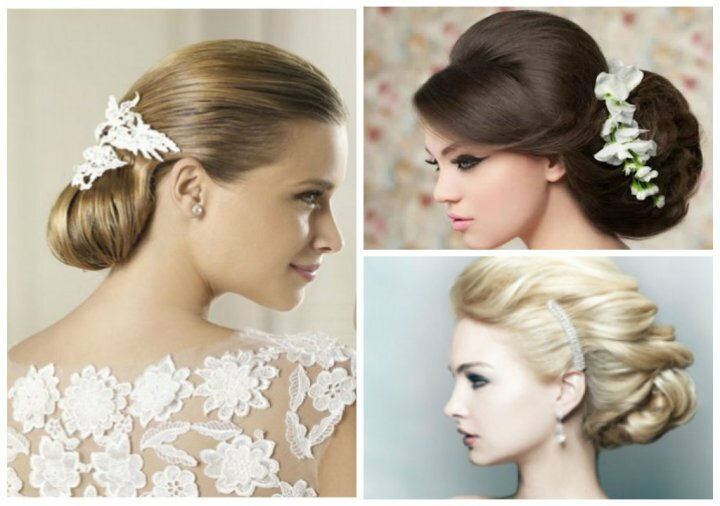 The most popular of all bridal hair styles, the timeless “up-do” works well with most face shapes. This wedding hairstyle can be worn in a classic ballerina-bun, or placed slightly lower down the nape and to the side with lots of volume. 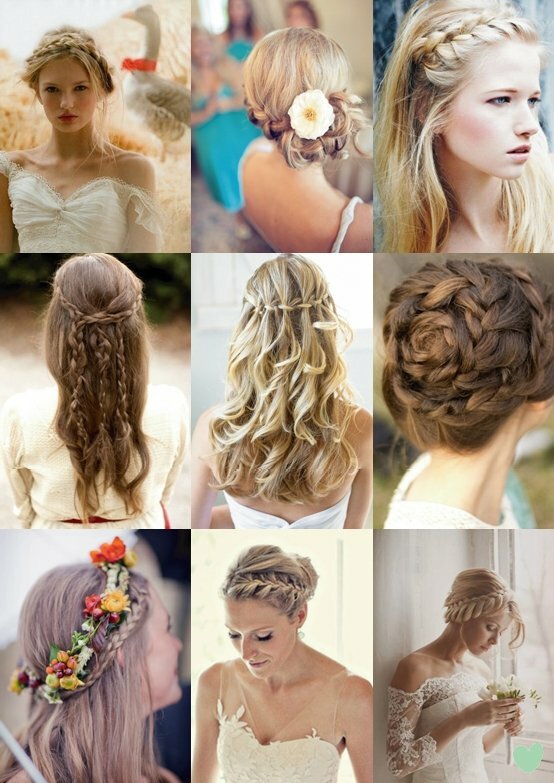 The many variations of the wedding updo allow you to put your own twist on it for your special day. A truly stunning and sophisticated bridal hair style. For more on hairstyle ideas in the West Midlands take a look at our hairstyles at Simon John Hair. Create a mood board and showcase your hair inspiration by tearing out your favourite bridal hairstyle photographs from magazines (that’s what they’re there for, right? ).This is without a doubt the best way to share your wedding hair ideas and allows the team of wedding hairdressers in Sutton Coldfield to get a real idea of how you want your wedding day look to be.Create a mood board and showcase your hair inspiration by tearing out your favourite bridal hairstyle photographs from magazines (that’s what they’re there for, right? ).This is without a doubt the best way to share your wedding hair ideas and allows the team of wedding hairdressers in Sutton Coldfield to get a real idea of how you want your wedding day look to be.Discuss Your Wedding Hair at Simon John Hair, Sutton ColdfieldIf you’re looking for a wedding hairdresser in Sutton Coldfield, we invite you to our Four Oaks and Walmley hairdressers to discuss your wedding hair options.On your wedding day will you visit one of our Sutton Coldfield salons? Do you require a wedding hairdresser that will travel to your Sutton Coldfield venue? Do you want hair extensions to enhance your own hair? Would you like your hair colouring for your wedding?These are all questions that can be answered during your free bridal hair consultation at one of the Simon John Hair salons. Call to speak to our wedding hair experts today. We look forward to helping you create the perfect wedding hairstyle at our hair salons in Sutton Coldfield that will be remembered for years to come.